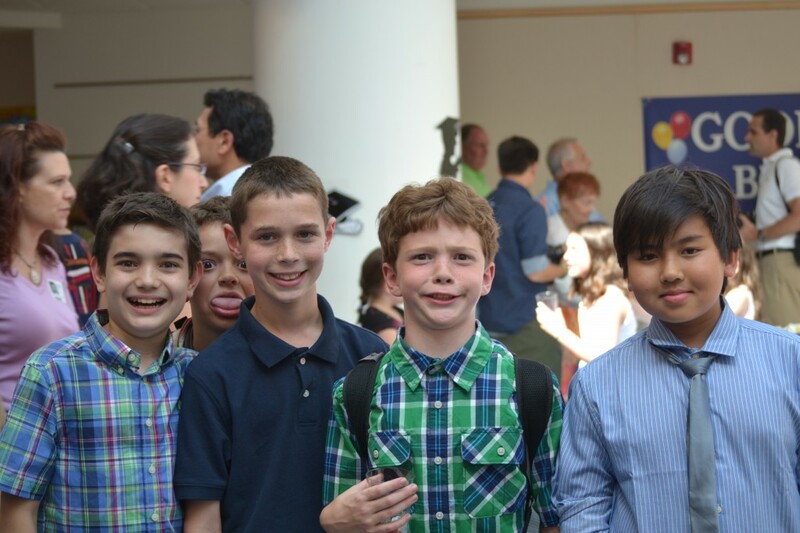 My middle child has graduated from elementary school…I can hardly believe it. 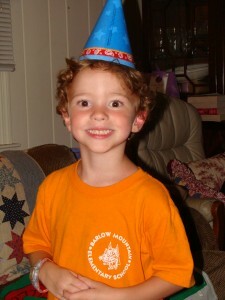 He is growing up so fast, where did these last 6 years go? He is a lovely young man and I could not be prouder but I wish he would stay little for just a tiny bit longer. 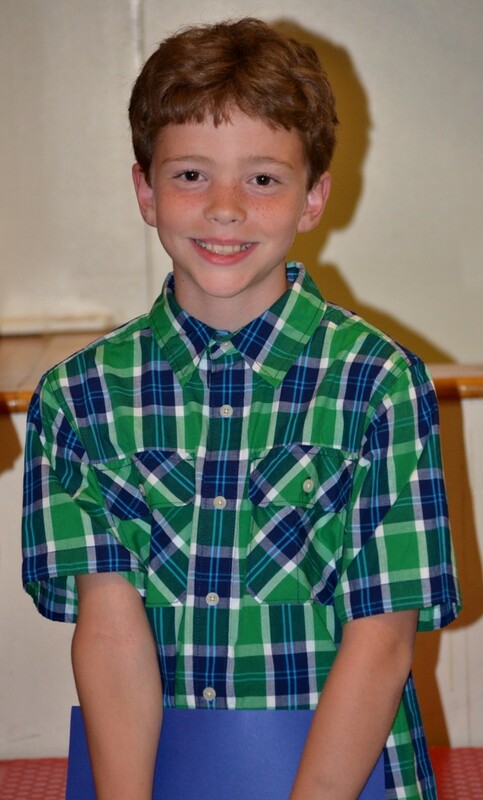 He is moving up into middle school and to me that feels like a whole new chapter in our lives. Come the Fall he is going to be alone at school without one of his brothers at the same school. 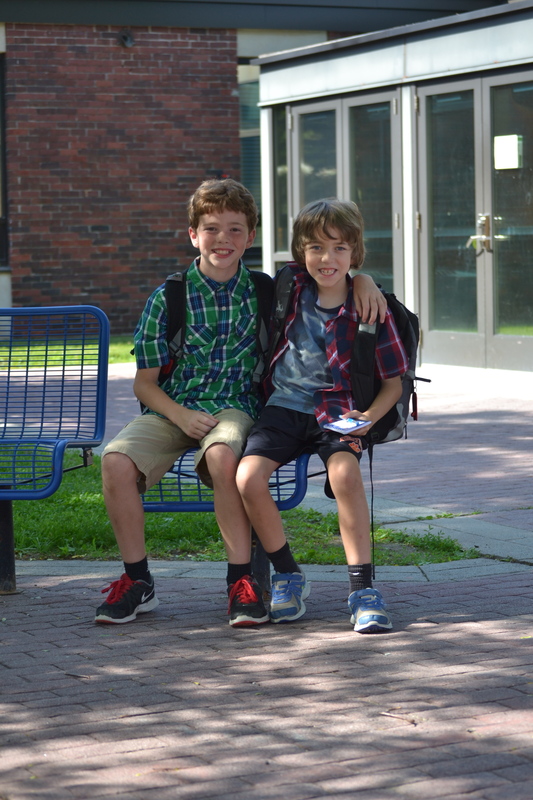 All the boys will now be a separate schools, on different buses, and on different schedules. That thought is enough to make my head start to buzz so I will put it aside for now. Plenty of time to prepare for the next school year. 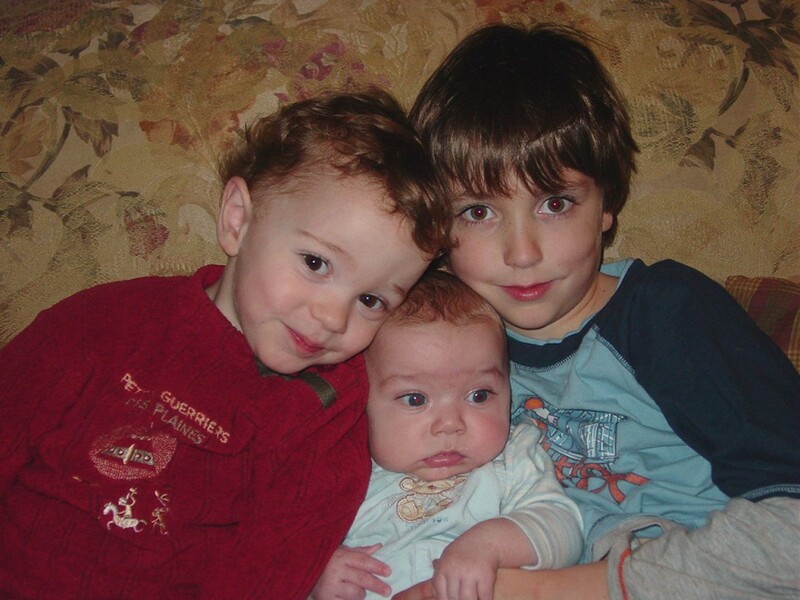 *Sigh* Where has the time gone? My little men….so adorable. 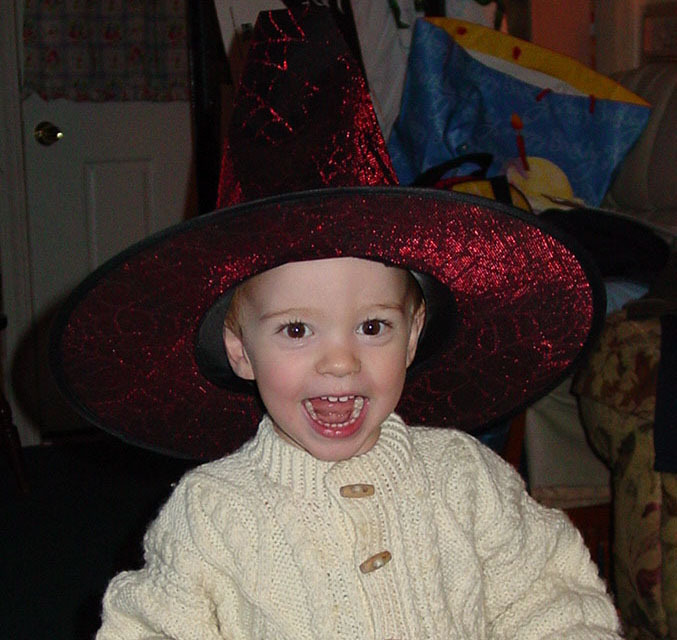 A happy baby boy at Halloween. 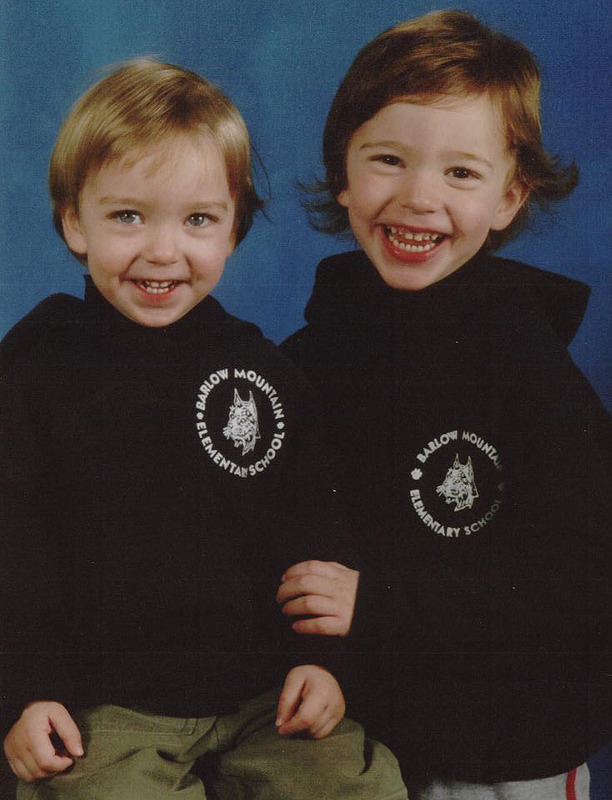 School photos are always such fun to look back on….above are two of my favorites. 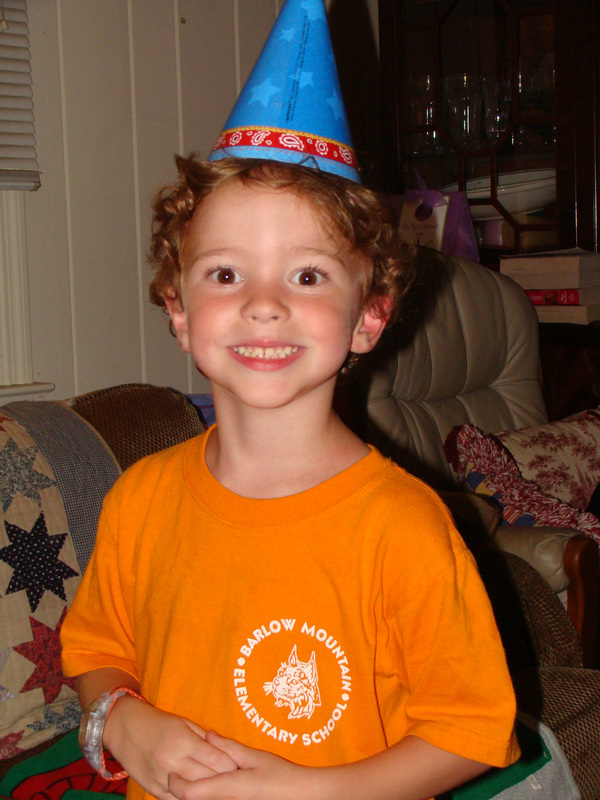 Evan is always willing to wear funny party hats! 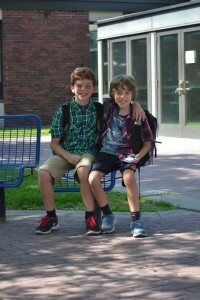 Brothers together at school for the last time. June has been a hectic, fun, and crazy month. I am looking forward to some down time in July. 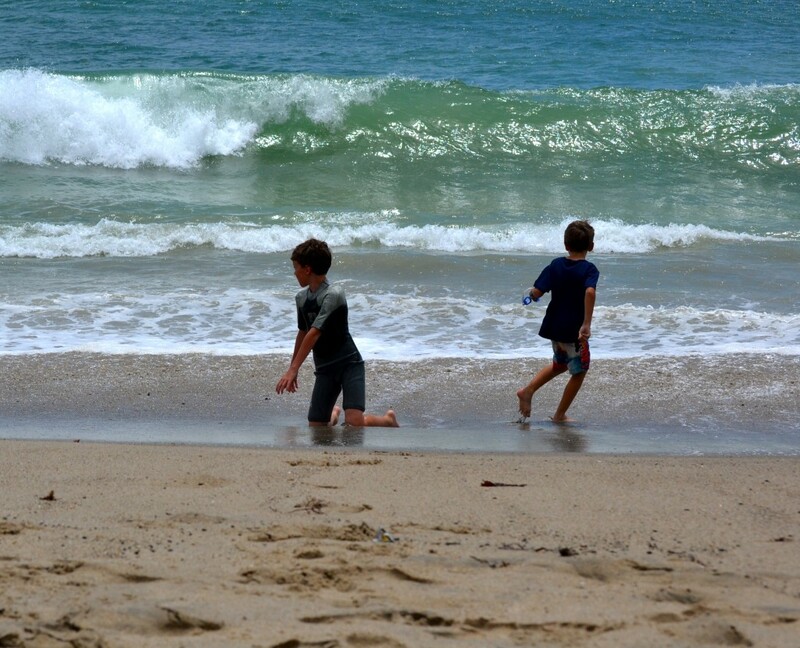 We are California bound after Independence Day for some quality time with the grandparents, cousins, aunts, and uncles and I cannot wait to get there. This week is all about packing….wet suits, goggles, toys, bathing suits, socks, books, iPad, headphones, etc. the list feels endless. I shall be as prepared as I possible and if we forget to pack something I am sure my super sister will have it for us when we arrive. I wish everyone a fun, safe & healthy holiday weekend! I will be blogging from the west coast when next we meet. We had a great weekend! 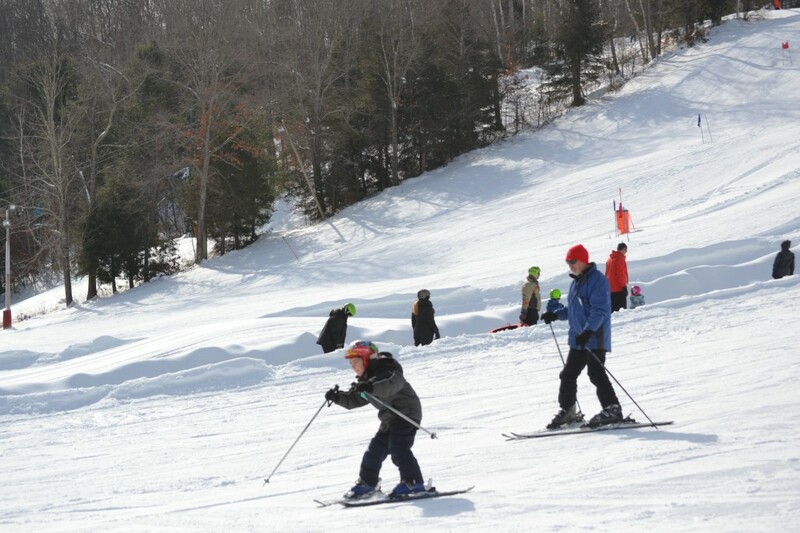 We are rocking this polar vortex/snowstorm season by spending as much time as possible on the slopes. 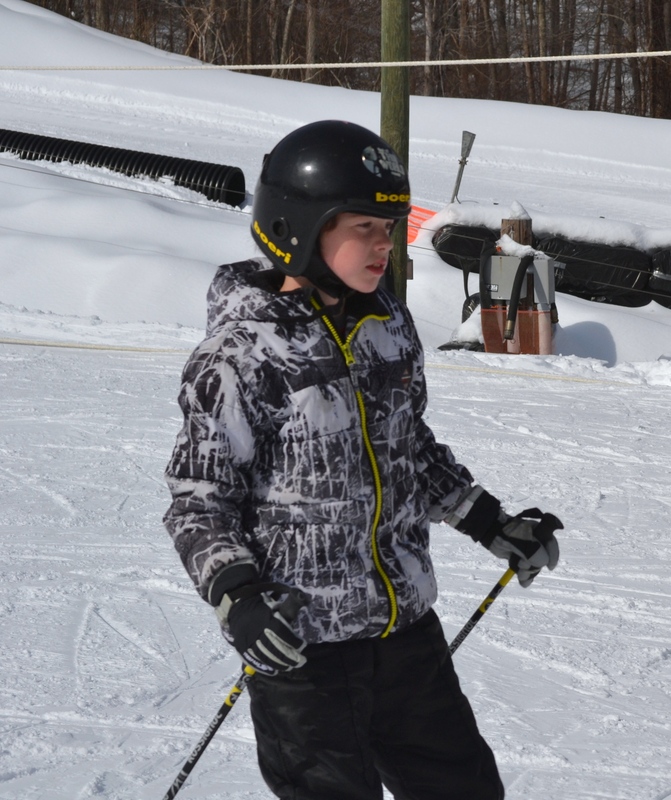 Hayden is the best skier in the family….he can swish his way down any double black diamond slope with ease. I come next with a shaky single black diamond skill but most comfortable on the advanced blue slopes. Evan is (to no ones surprise) a speed demon! 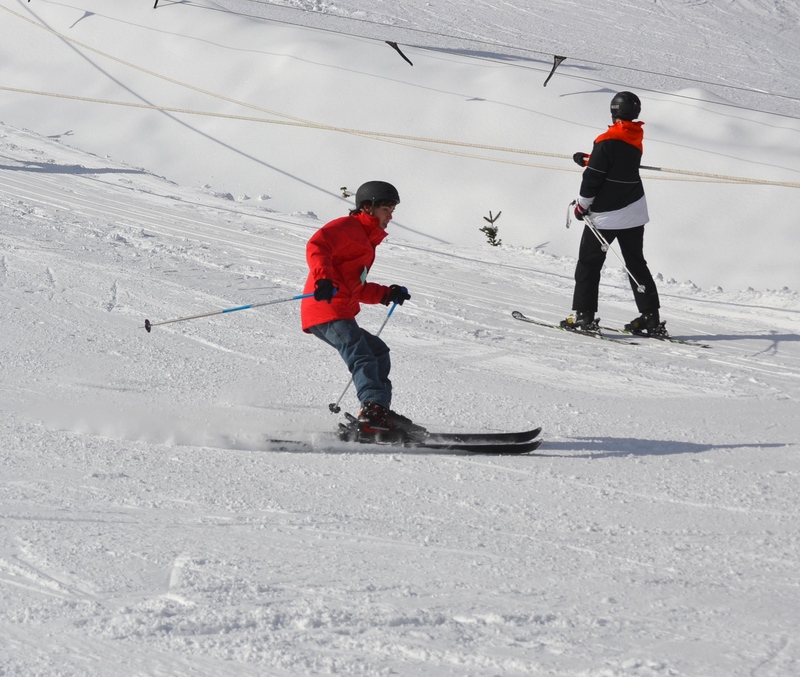 He takes the tow rope up to the middle of the hill, ski’s over to the chair lift which takes him to the top and then simply points his skis downhill and goes, in a tuck position and everything. 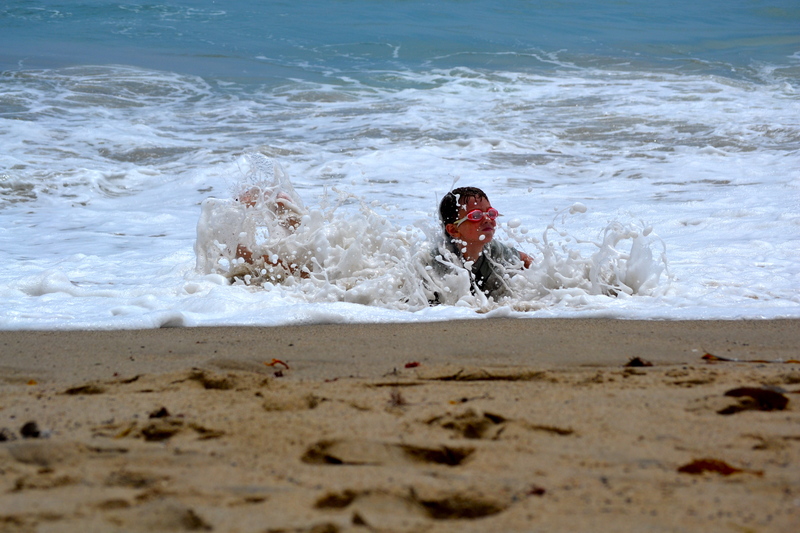 Morgan is more cautious but has just as much fun and my hubby rounds out the bunch. 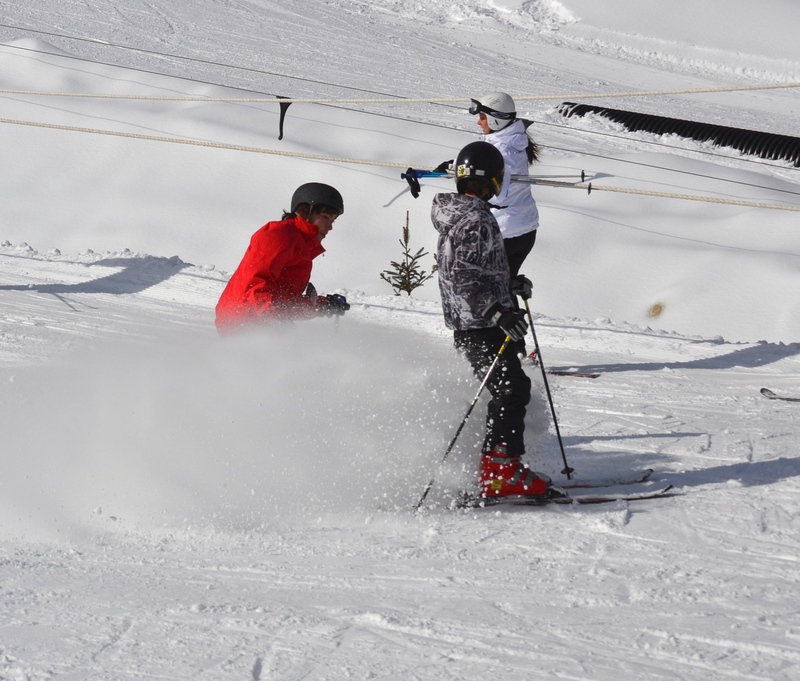 He has not skied in 30 years and I must say he is making great strides at proficiency. It has been quite entertaining to watch and thankfully he has a great sense of humor. 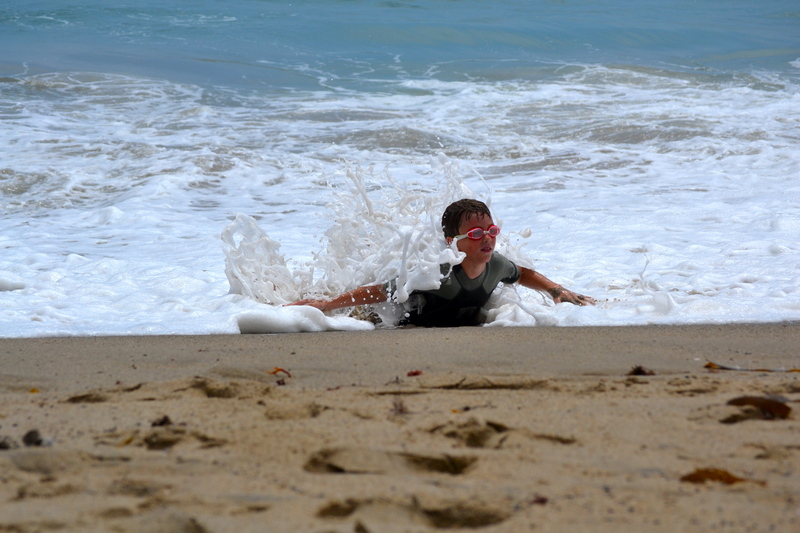 Hayden coming in to spray his brother with snow. Evan looking confident and much too cool to turn towards the camera. 🙂 I may have been embarrassing him by calling out his name, repeatedly, in order to get him to look at me and smile at the camera. 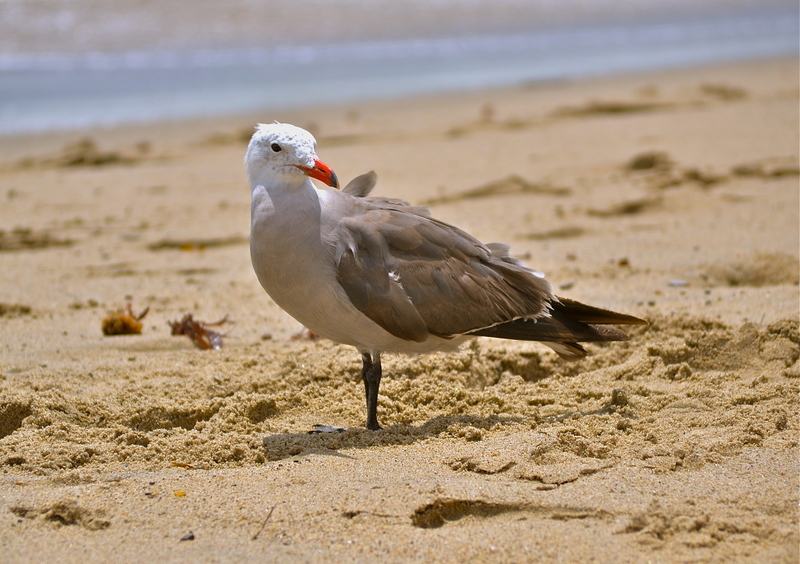 C’est la vie…that’s life with me as your mom. Morgan and my hubby on the bunny slope. In the background you can see the other skiers and snow tubers riding the magic carpet. This is a wonderful invention that runs much like an escalator. You stand on it and it gently brings you up to the top of the bunny slope where an attendant is there to help the newbies step/ski off. Go to the right and ski down to the bottom, go to the left and use your inner tube to launch yourself down the tubing slope. Everyone was happily exhausted by the end of the day and the kids were starving so we packed it up and headed out. I whipped up a platter of nachos when we arrived home. 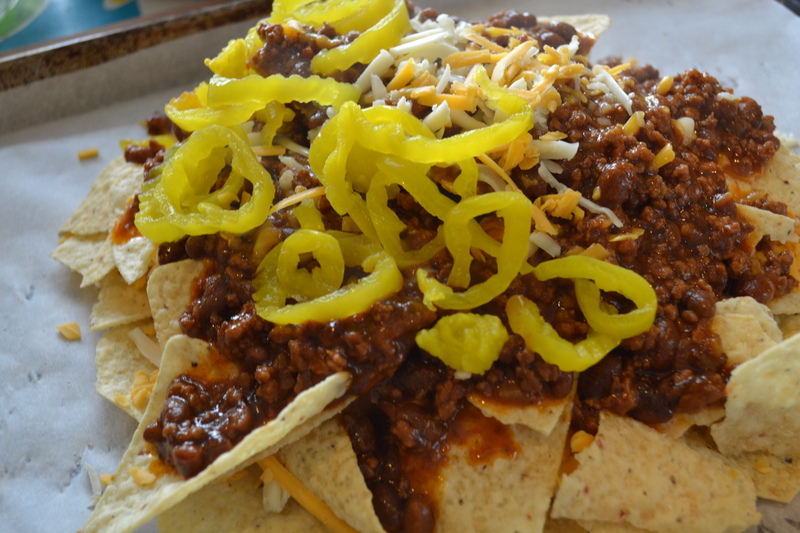 The chili was leftover from supper the night before and thus assembly of the nachos was quick and easy. I had a bag of tortilla chips in the pantry, monterey jack & extra sharp cheddar in the fridge, leftover chili, and banana peppers. 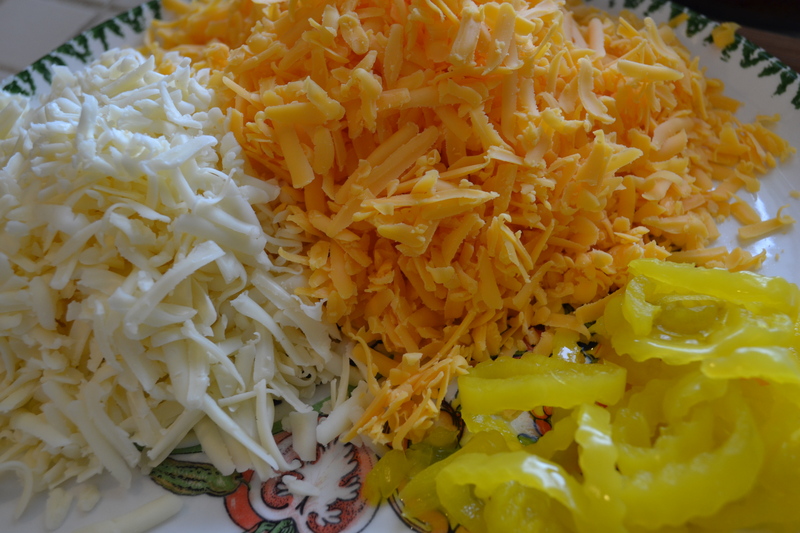 I grated 2 cups each of the monterey jack and sharp cheddar and set aside on a platter with a big scoop of banana peppers. 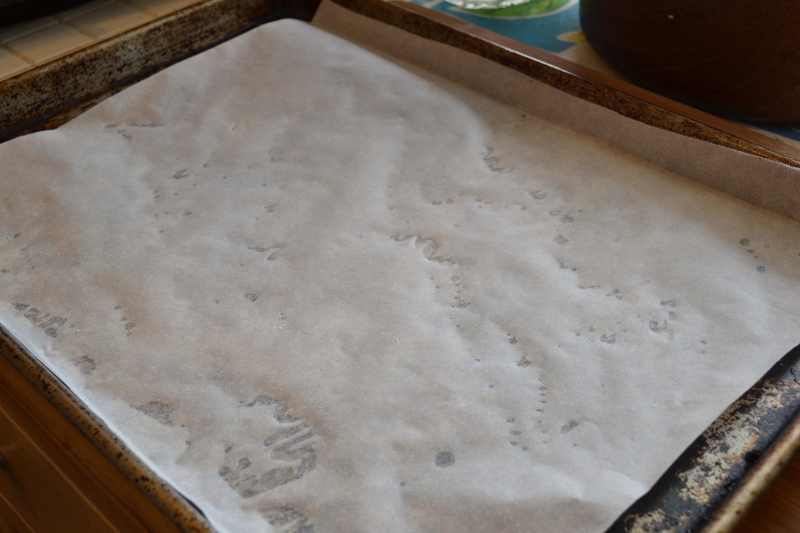 I cover my heavy-duty cookie sheet with parchment paper. This will make it easy for me to transfer the nachos out of the oven and onto the platter later. 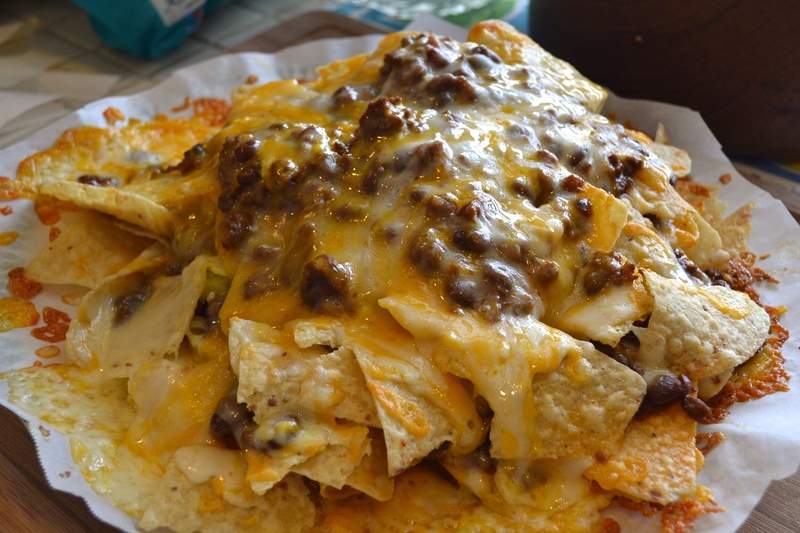 Start with a single layer of chips. I try to keep them in a circular shape as that is the shape of the platter they will be transferred onto later. 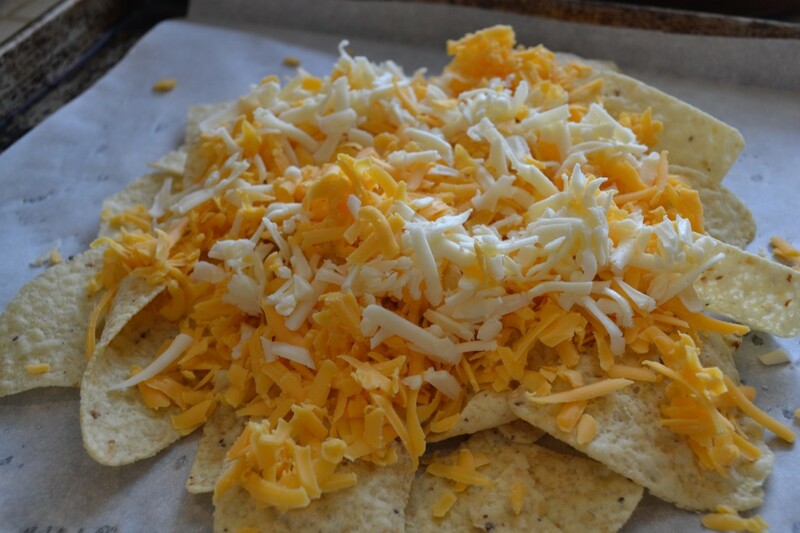 On top of the base layer of chips spread a layer of cheese. 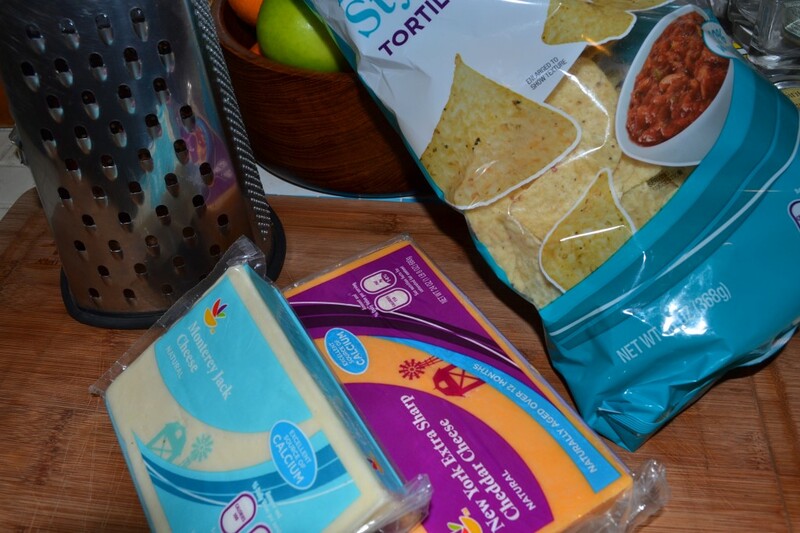 I cover the cheese with another layer of tortilla cheese. Next I scoop on some chili which I have warming on the stove. 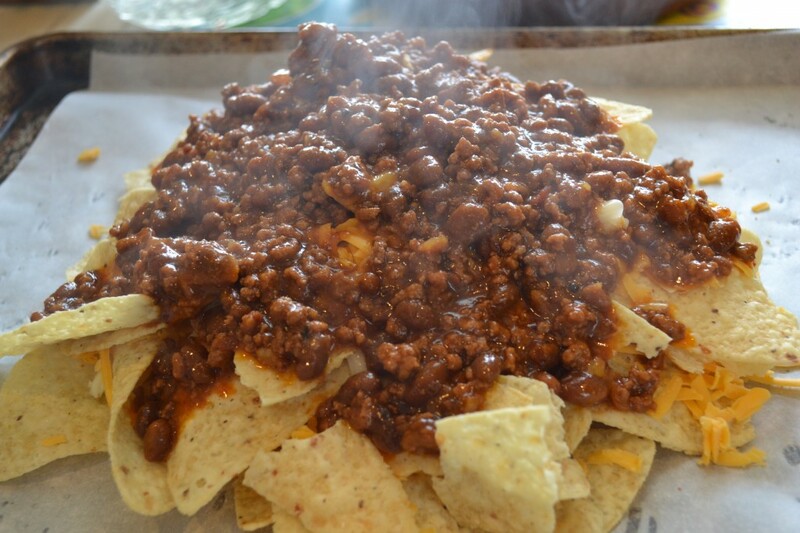 I don’t drown the chips in chili, just carefully pour on the chili so it covers the top and sides of the chips. 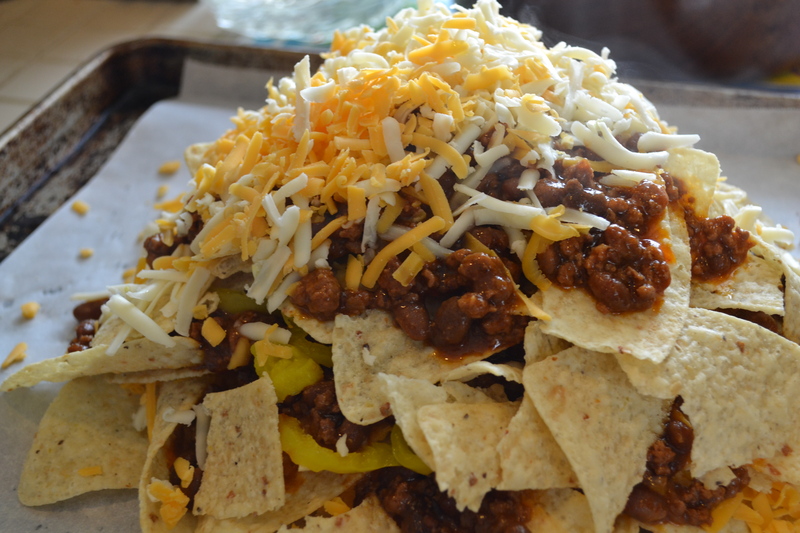 Another layer of chips with chili and cheese on top. 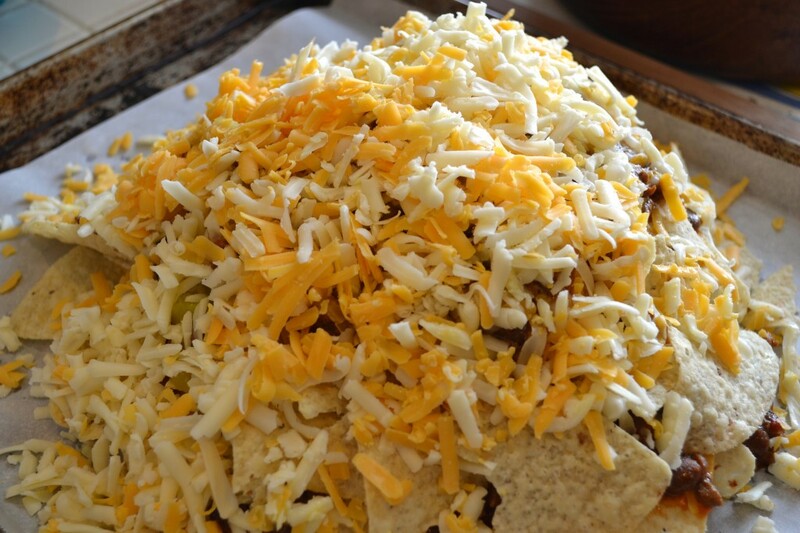 Cover the entire mountain of chips with cheese. 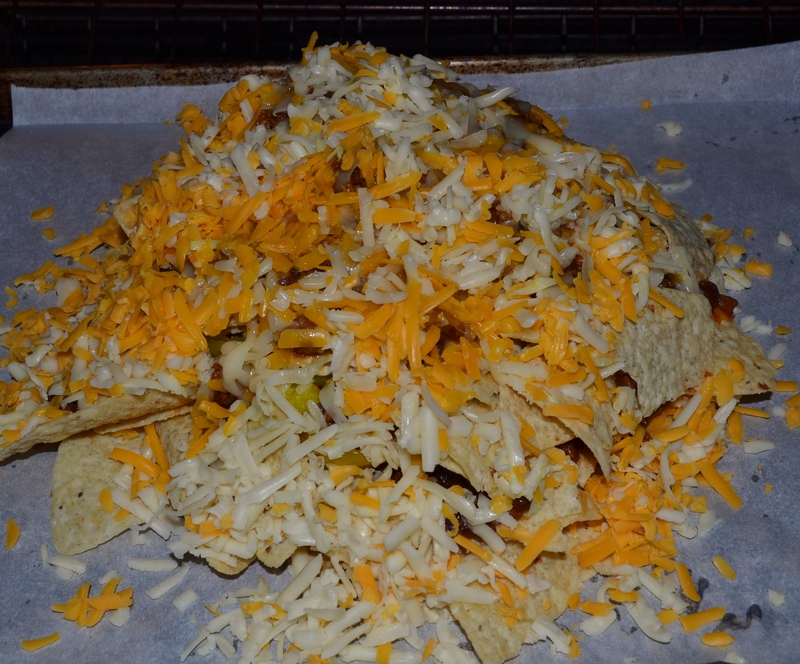 Place cookie sheet with nachos into a preheated 350 degree oven. 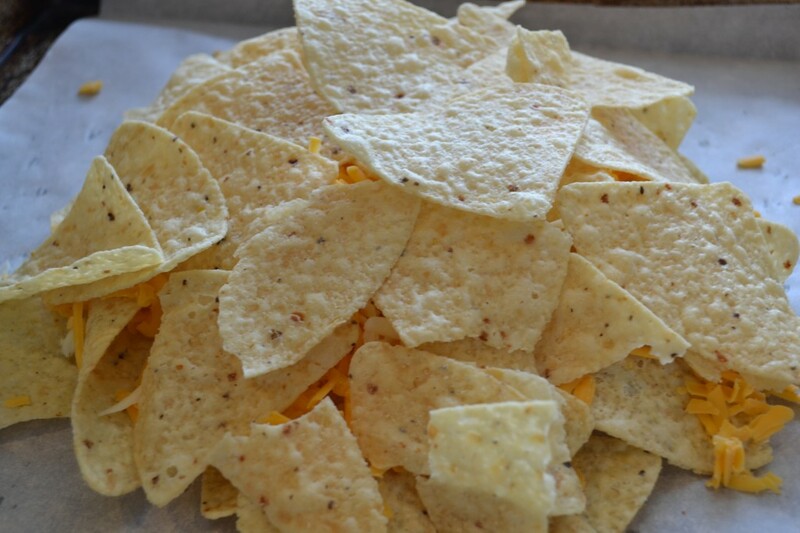 I bake my nachos for 7 to 10 minutes but oven temperatures vary so watch your nachos to make sure they don’t burn. 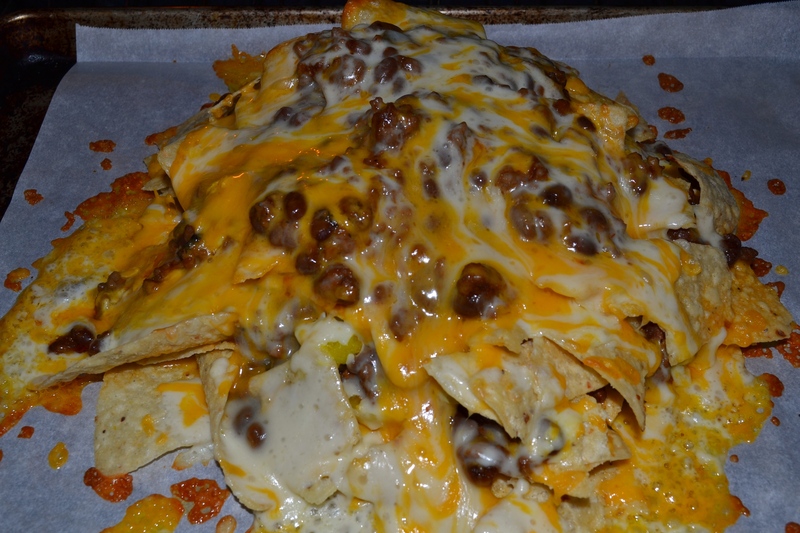 I carefully use the corner of the parchment paper to slide the nachos off the cookie sheet and onto my large round platter. Hot and delicious…this feeds our family of 5 with no leftovers. 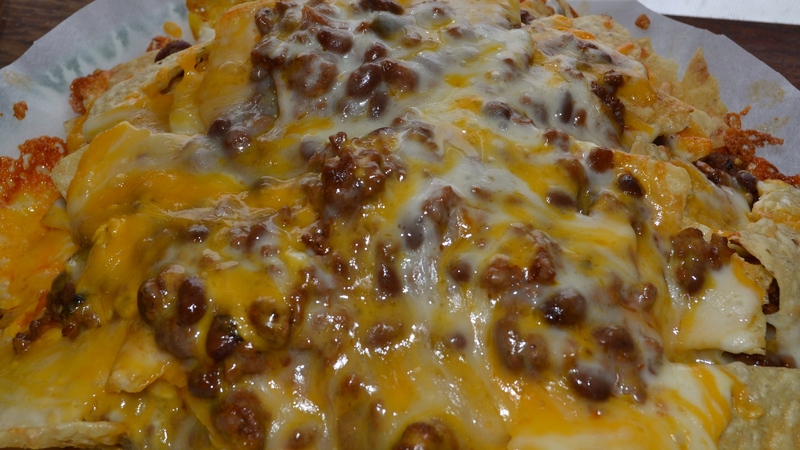 It is quite filling with all the layers of chili and cheese. You can change this up and make larger platters for a bigger group…swap out toppings for the things your family likes best. I hope everyone has a chance to get outdoors and enjoy what mother nature has to offer in your neck of the woods. I hope everyone had a great weekend! 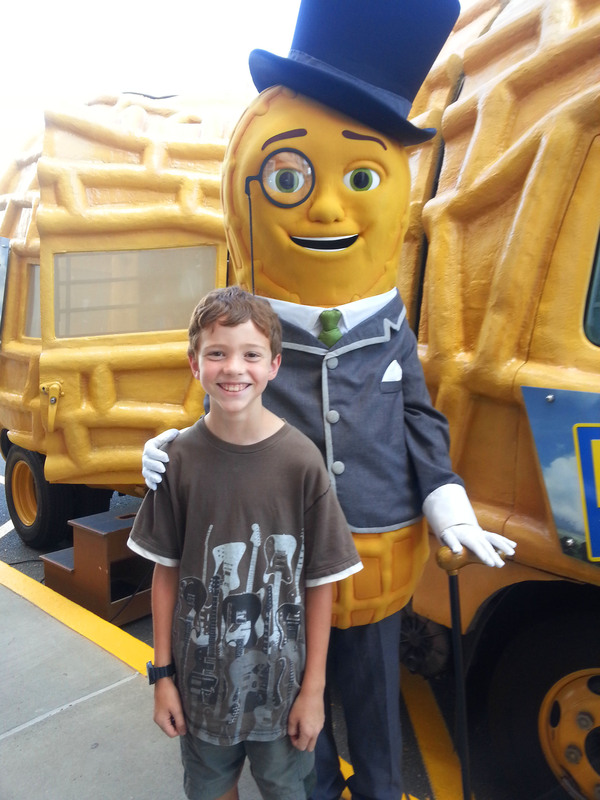 I bet there aren’t any readers here who can say they met Mr. Peanut and had a look at the peanut mobile. I know, I am a lucky girl :). 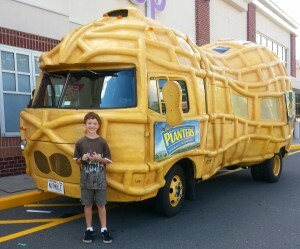 I was on my way to the supermarket and much to my surprise there was a massive peanut parked outside the store. 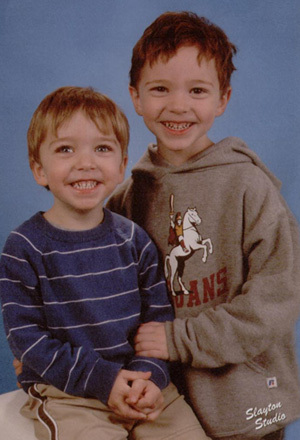 Evan was with me and we had quite a laugh, it was really funny and kind of cool. 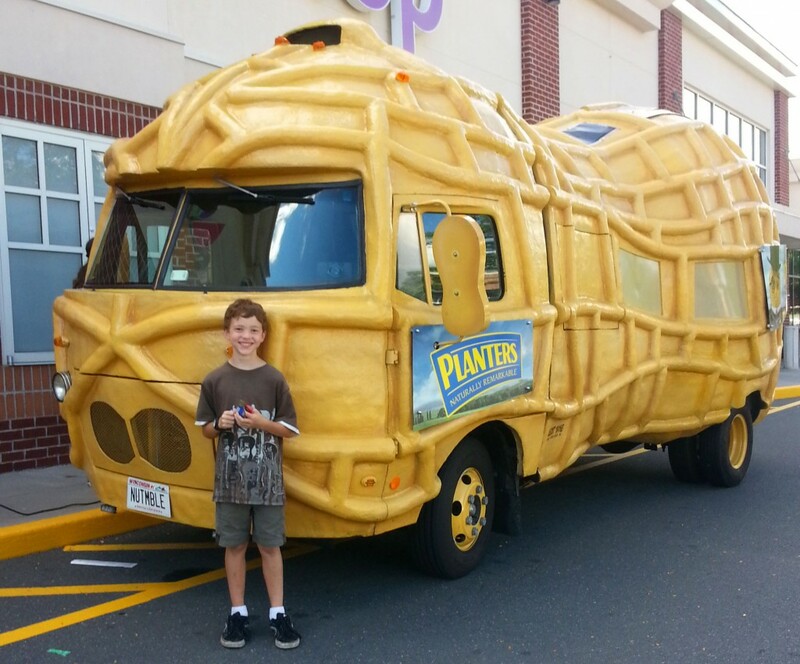 So, we park the car and hop out to go into the store and I remarked to Evan that if the peanut mobile was still there when we came out I wanted a picture of him in front of it. Sure enough, the peanut mobile was still there when we were finished with our shopping and Mr. Peanut was standing on the sidewalk posing for free photos. I am excited! This is going on my blog! and I am suddenly walking/jogging over to Mr. Peanut. Evan is looking at me like I am CRAZY. We wait our turn, as there were other parents there with kids, and in the few minutes we waited you could see the whole thing was kind of fun. 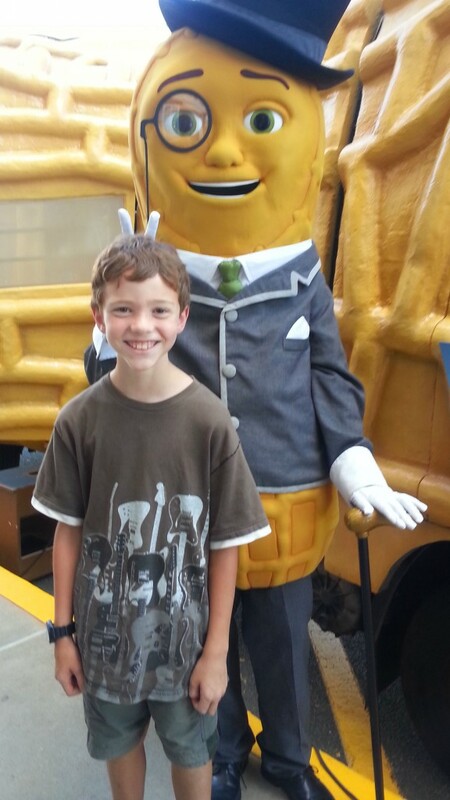 Other kids, older kids, were there getting their photo taken and laughing with Mr. Peanut – sort of making fun but enjoying it too, as teenagers do. Evan saw this and relaxed. He was actually really good about it when it was our turn. He posed with Mr. Peanut, who I noticed had a pretty good sense of humor, and was okay with the photos going up on the blog for all to see. It was a good end to a beautiful weekend! 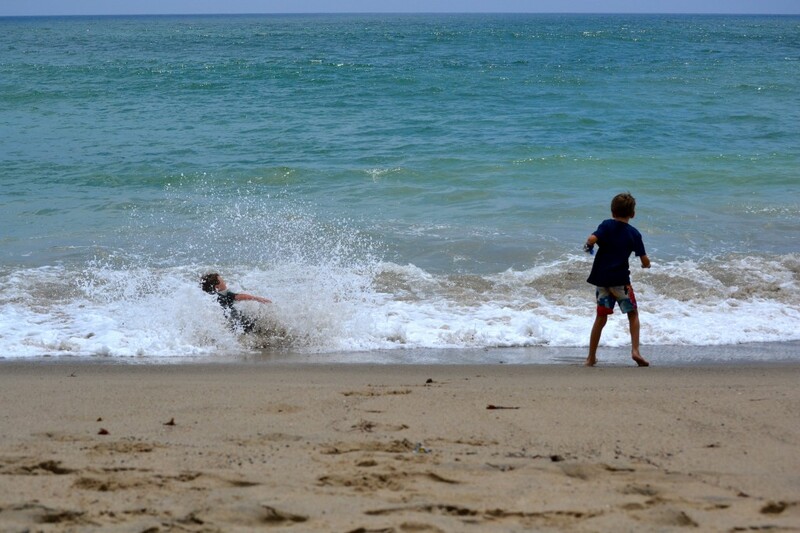 Boys enjoying the surf! 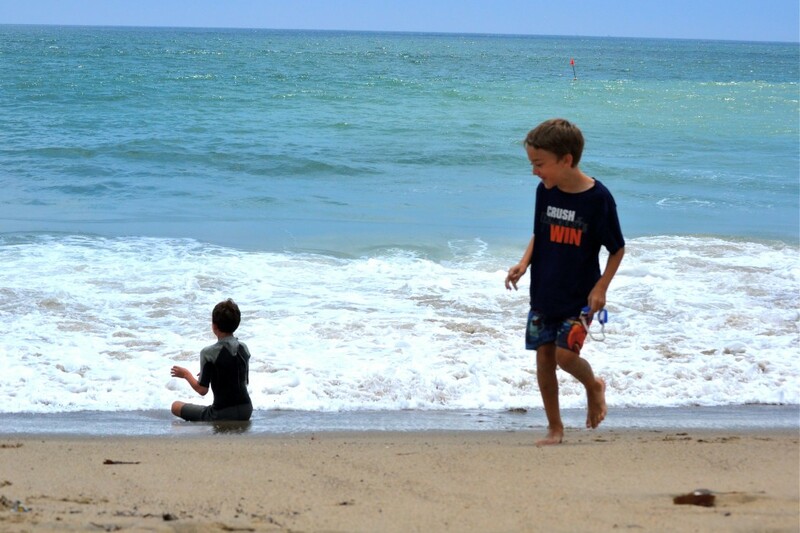 Nothing better than being a kid at the beach. My sister made the most delicious picnic lunch on our last day at the beach. We had a few uninvited guests try to sneak in on the feast. Three of the most brash party crashers are pictured above. Anyway, back to the food…..fresh salsa & chips (the boys favorite), turkey sandwiches with a yummy chipotle mayo – cut into quarters, and a broccoli salad. Everything was completely wonderful. 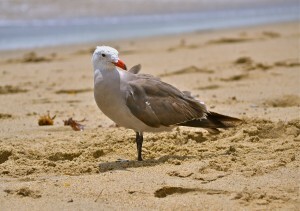 I will post the recipe for the chipotle mayo – it had just enough zing that even Morgan (my youngest) was able to eat it. He usually does not like spicy food, or green food, the list goes on and on. 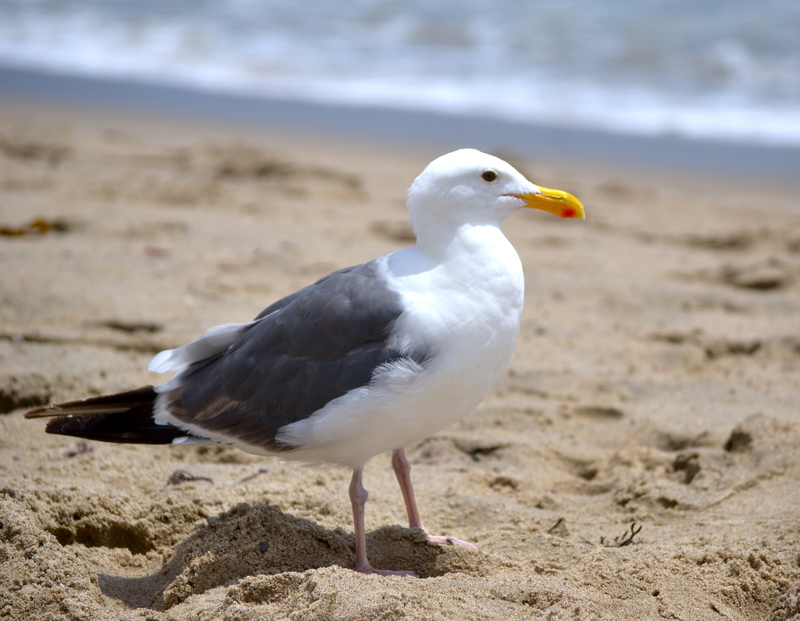 It is actually quite a challenge to get him to eat anything beyond mashed potatoes, chicken nuggets *shudder*, plain hamburgers or chips & salsa. I am hopeful that he will outgrow this soon. 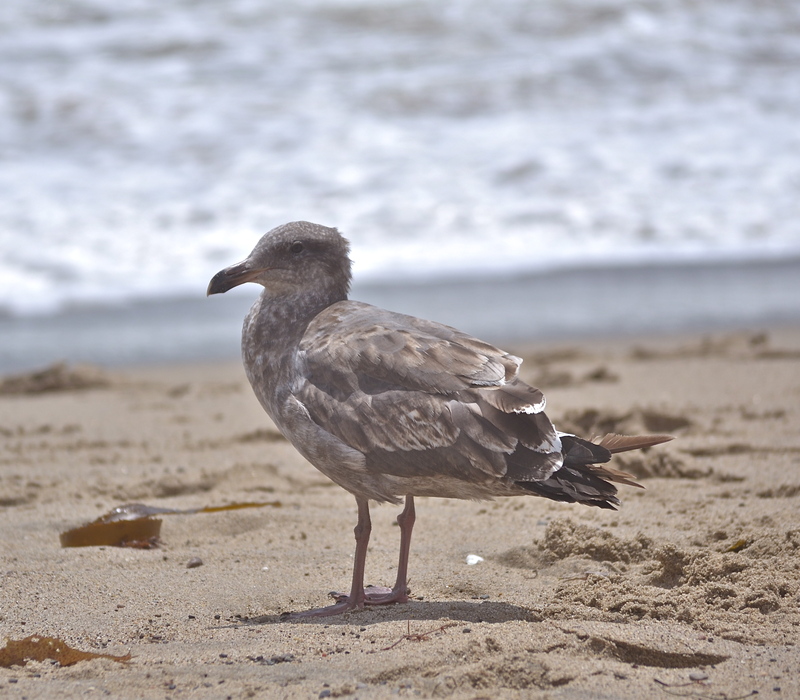 I hope everyone is having a wonderful week of good summer weather and you have a chance to get outside to explore and soak up some of the beauty all around us! Welcome to Two Traveling Sisters!